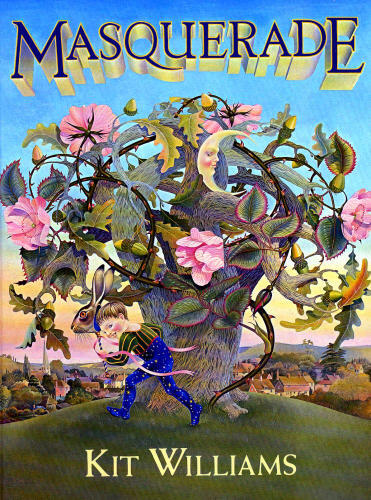 Do you remember the book Masquerade by Kit Williams? Published in 1979 it gave clues to a buried treasure, a jewel encrusted hare in a ceramic pot apparently worth around £5000. If you’re interested to know how to solve the puzzle, Kit Williams published a follow-up book with the solution. Many a morning I spent eating my Shreddies flicking through the pages of this wonderful book in the mid 1980s. Although the treasure had been found by then I marvelled at the illustrations and loved how the text framed the pictures, this book is probably responsible for my appreciation of typography. 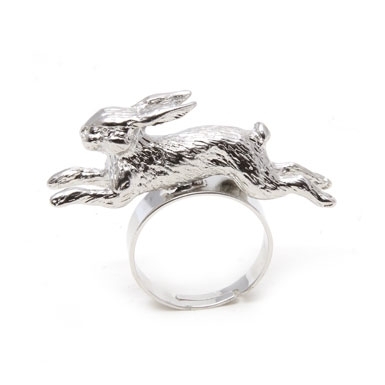 The British Design 1948-2012: Innovation in the Modern Age exhibition at the V&A is displaying the golden hare jewel from Masquerade for the first time and available in the V&A Shop are these gorgeous hare stud earrings and ring. 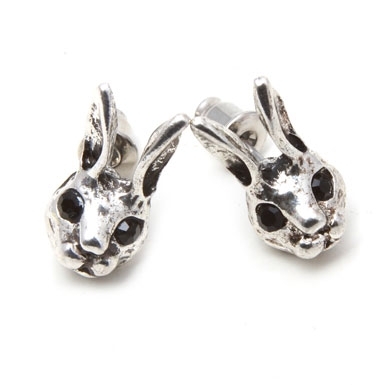 They look less like the jewelled hare treasure and more like the beautiful illustrations of the hare. Which I think is the right way around. Both are available to pre-order at almost 1979 prices of £5 for the earrings and £6 for the ring. The exhibition is running until 12th August 2012. Will you be making a trip to London to see the treasure?